“It is our privilege to once again be the presenting sponsor of this great event showcasing our floating pieces of art and maritime heritage! Canoe Cove Marina and Boatyard have been a part of the recreational and commercial boating community for almost one hundred years and we are proud of our history beginning in the early 1900s. If you haven’t visited this unique marine village at the north end of the Saanich Peninsula we encourage you to do so! With Canoe Cove Joe’s Cafe and the Stonehouse Pub Restaurant as gathering places, the Cove is a natural setting to meet old friends and new, and a walk through the boatyard is bound to be interesting! Find out more about Canoe Cove Marina & Boatyard here! Greater Victoria Harbour Authority (GVHA) was incorporated as a not-for-profit society in February 2002, and began operating its four port facilities, divested from Transport Canada, in April 2002. Acting as an advocate for the harbour, the GVHA is working to improve its function as a working harbour, and a marine transportation centre with a strong focus on tourism. GVHA is a society registered with the Province of British Columbia and the Constitution and Bylaws of the Greater Victoria Harbour Authority are governed under the Society Act of British Columbia. GVHA’s Board is comprised of Directors representing the member agencies and organizations (Esquimalt Nation, Songhees Nation, City of Victoria, Township of Esquimalt, the Victoria/Esquimalt Harbour Society, Tourism Victoria, the Greater Victoria Chamber of Commerce and the Capital Regional District) and four community directors. Before Hagerty became the global leader in classic boat insurance, we were just a family who loved classics. When we couldn’t find insurance for our treasured wooden boats, we created our own: the first ever Agreed Value policy for classic boats. As much as we’ve grown, we still have the same goal: to help you enjoy your classic boat more. We do this not just by working with our clients and brokers to provide the best protection and service imaginable, but also by supporting classic boat clubs and events, sponsoring programs to get young people involved, providing a multitude of resources and more. Why we do it? Because your boat and what it represents are worth protecting. At Hagerty, we believe it is our responsibility to support organizations and initiatives that help make sure the boats we love – and the lifestyles that revolve around them – not only survive, but thrive, well into the future. The Board of Directors of the Chamber is comprised of eleven members that provide governance, policy direction and industry oversight to the activities of the association. Board members also chair a number of standing committees which deal with day to day local issues but to which the secretariat also reports wider national and international issues which have (or the potential to have) a bearing on the marine industry in British Columbia. In this context, the Chamber’s formal affiliation with the International Chamber of Shipping and Intertanko in addition to close working relationships with a number of other Canadian and U.S. marine and business associations, allows us to provide input at the highest levels of marine policy making. The Downtown Victoria Business Association’s mission is to nurture and promote the vitality and vibrancy of downtown Victoria and its business community. Their vision is to be the authority on all things happening in Victoria’s downtown core. Island Tents & Events is Vancouver Island’s foremost provider for all events including birthday parties, weddings, reunions, corporate events, trade shows, festivals, fundraisers and sporting events. Our exceptional customer service and extensive inventory are incomparable, and we pride ourselves on our reliability an our ability to find solutions for every need. From tent rentals to one-stop concierge services, we are creating memories on Vancouver Island. V2V offers daily luxury cruise service between Downtown Vancouver and Downtown Victoria. On board the V2V Empress, a 38.5 metre catamaran, passengers sail under the Lions Gate Bridge, through the beautiful Gulf Islands, and directly into Victoria’s Inner Harbour. V2V offers two stylish classes of service: Premium is seated on the main deck and features comfortable leather seating and locally sourced food and beverages available for purchase. Royal offers more spacious seating on our upper deck, with reclining seats and footrests. Royal also includes a three course meal served at your seat and a welcome beverage from our locally sourced beer, wine, and cider list. All passengers have access to free WiFi, USB and power ports in all seats, and the outdoor rooftop observation deck. 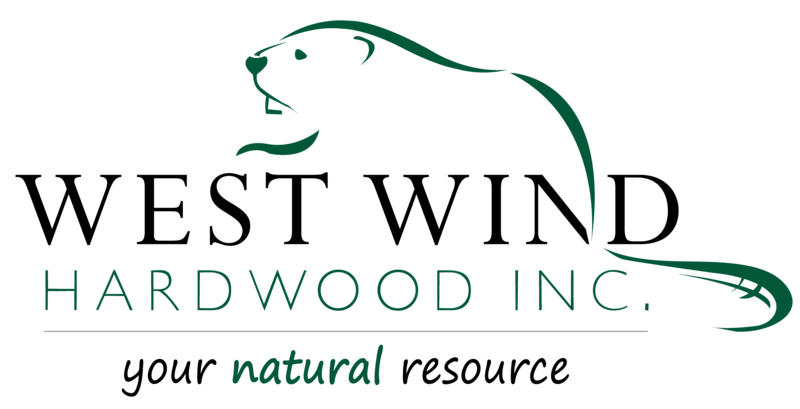 West Wind Hardwood is located in Sidney (Vancouver Island), BC Canada and was established in 1978 as a father (Ove Nielsen) and son (Jan Nielsen) partnership under the name West Wind Woodwork. It is a culmination of generations of old-world woodworkers and craftsmen. We pride ourselves in providing fine lumber, wood flooring products and European-quality wood finishes; offering friendly, efficient service to our wide range customers. Whether building kitchen cabinets, boats or airplanes; or hand carving and whittling, no project is too large or small. We ship throughout North America and beyond. Barb’s Fish & Chips is floating in Victoria BC’s Inner Harbour at the vibrant Fisherman’s Wharf. Enjoy watching all the activity – fishing, sail, charter and house boats, seals playing in the harbour, sea planes taking off and landing – as you sit at open-air picnic tables eating Barb’s tender-crisp pieces of halibut, cod or sockeye salmon and fries. Barb’s Fish & Chips Seafood Restaurant opened in 1984 and we have continued to grow and expand ever since. Word of mouth and positive community support have helped make us a landmark in Victoria, being voted #1 ‘Best Fish and Chips’ for the past 33 years. In April 2018, Barb’s opened a brand new building that is designed and engineered to provide improved and expedient service to customers, by relieving congestion and expediting the lineup. The building also provides a more comfortable and streamlined work environment for staff by offering a more user friendly workspace. Air North, Yukon’s Airline has donated a special prize package to the 2018 Annual Victoria Classic Boat Festival prize package to Whitehorse, Yukon! This item will be up for bidding at the Opening Reception on Friday, August 31st. Prize package valued at approximately $1600. BC Ferries is one of the largest ferry operators in the world, providing year-round vehicle and passenger service on 25 routes to 47 terminals, with a fleet of 35 vessels, connecting coastal communities and facilitating the movement of people, goods and services. BC Ferries has donated two FREE one-way adult passenger tickets and two FREE one-way passenger vehicle + driver tickets on BC Ferry routes. Some restrictions apply. This item will be up for bidding at the Opening Reception on Friday, August 31st. Black Ball Ferry Line has donated a FREE round-trip ferry for a standard vehicle/driver + passenger. This item will be up for bidding at the Opening Reception on Friday, August 31st. Presenting sponsor, Canoe Cove Marina, has donated a FREE haul-out (up to a 45′ vessel). This item will be up for bidding at the Opening Reception on Friday, August 31st. Gorge Narrows has been providing an amazing source for rowers of all ages to get together and row for over 20 years. If rowing is one of those activities that you’ve always wanted to try, but never had the opportunity – well, this is your opportunity! Gorge Narrows has donated a FREE adult pass to the “Learn to Row” program (valued at $250)! This item will be up for bidding at the Opening Reception on Friday, August 31st. Not just a grand hotel, a great hotel. The Hotel Grand Pacific overlook’s Victoria’s picturesque inner harbour. With walking paths in and around the harbour, eco adventures, such as whale watching and kayaking on our doorstep, and just a few steps to the heart of downtown, the Hotel Grand Pacific is the gateway to your enjoyment of our beautiful city. Hotel Grand Pacific, has donated a FREE One Night’s Accommodation, valued at $200.00. Some restrictions apply. This item will be up for bidding at the Opening Reception on Friday, August 31st. Ocean Pacific Marine Store & Boatyard has been operating in Campbell River since 1985. Currently located in the Discovery Harbour Marina, Ocean Pacific is the largest marine repair yard north of Victoria. Ocean Pacific Marine Store & Boatyard, has donated a FREE Vessel Lift at Ocean Pacific Boatyard (for any vessel up to 90′), valued at $1604! This item will be up for bidding at the Opening Reception on Friday, August 31st. Nestled on the eastern shore of Quadra Island beneath a canopy of conifers, Taku Resort and Marina is a place where you can relax and simply marvel in majestic west coast scenery. The Resort has donated a one-night stay in a terrace one-bedroom suite! This item will be up for bidding at the Opening Reception on Friday, August 31st. Tigh-Na-Mara Seaside Spa Resort and Conference Centre has donated a one night stay in a Spa Bungalow Studio, one of their most spacious guestrooms located adjacent to the Grotto Spa! The room has a King size bed as well as a queen size wall bed, full bathroom with jetted tub, a kitchenette, and dining area – a value of $220 + taxes! This item will be up for bidding at the Opening Reception on Friday, August 31st. Restrictions: Based on double occupancy and subject to availability. Cannot be combined with other promotions or offers. Not valid for all statutory holidays, Valentines weekend, Uncorked Festival weekend, nor July 15 to August 31. V2V is a premium cruise service connecting downtown Vancouver and downtown Victoria in British Columbia, Canada. They’ve donated two (2) FREE round-trip tickets, Royal Class, for a premium and highly personalised journey focused on guest comfort and convenience. Spend the voyage learning about the rich culture in the region and taste local flavours through the on-board menu featuring foods and beverages from the region!